Compare pricing for party buses in Colorado Springs Party Bus Colorado. Best affordable party bus rentals in Colorado Springs Party Bus. Price4Limo has over 12,000 vehicles in our inventory with photos and prices for you to choose for your transportation needs. Getting a free quote takes less than 30 seconds and no email is required! Party Bus Colorado Springs CO . A Colorado Springs Party Bus is the best way to make any special occasion the best possible time. Whether it is a 21st birthday party, a bachelor party, a bachelorette party, or any other sort of big celebration, riding around in a Limo Bus Rental, or taking it to a club, is one of the most exciting ways to enjoy your time here. A Prom Party Bus in Colorado Springs will make all the difference in the world when it comes to making the end of your school experience absolutely incredible. When you and your friends pile into the vehicle, crank up some music, and prepare for the night of your lives, you will know that you definitely made the best possible choice. There is so much fun to be had on a Colorado Springs Colorado Party Bus. If you want to grab a bite to eat, have some drinks, and watch the sports game, Southside Johnny's (80903) is a favorite spot. Blondie's and V Bar are both very popular dance clubs with electronic and hip hop dance nights. DanceMasters (80904) is a great place to get a drink and dance the night away in a friendly and non-judgemental atmosphere. The Vue (80944) is another great place to meet some new people, or just enjoy the company of your friends. Nearby cities like Cimarron Hills, Fort Carson, Fountain, Black Forest, Canon City, Castle Rock, and Pueblo all have their own nightlife. If you talk to any of the locals in the city, they may be able to tell you about some hidden gems in one of these nearby towns. They are all within driving distance so if you feel like going on ad adventure, that is not a problem! If you are of drinking age, for a 21st birthday party for example, you want to be surrounded by your close friends. You also want to make sure that nobody is driving if they are consuming alcoholic beverages. With a Colorado Springs Colorado Party bus Rental you never have to worry about anyone making any choices that they could regret, or worse. Our professional drivers will make sure that everyone gets to and from the party safely. These rides are also perfect for wedding transportation! Limo Buses in Colorado Springs are chock full of wonderful luxuries. You can watch your favorite movie on the television screens, listen to music, dance, kick back and relax on the wrap around seating, make a drink at the beverage station, or anything else that you could wish for. Our Party Bus Company is proud to offer the best vehicles, at the lowest prices. 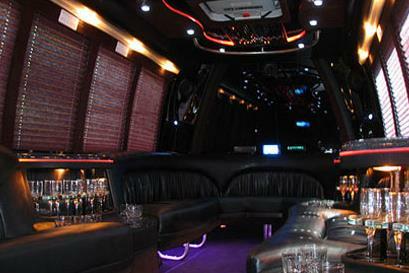 Party Bus Prices are actually quite low, especially when the cost is split among friends. 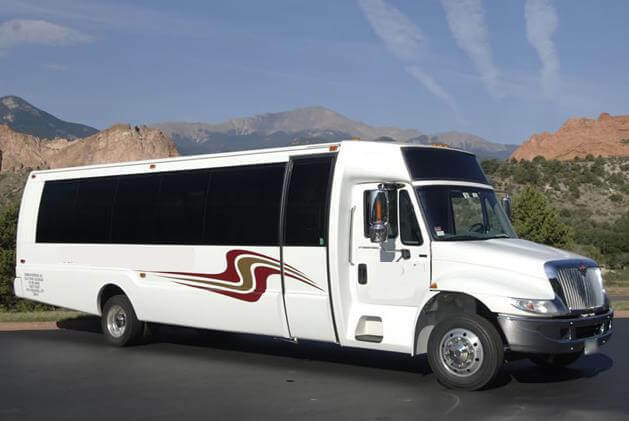 Colorado Springs Cheap Party Buses are the perfect alternative to taxi cabs or rental cars because they allow every single person who is going to the party to ride together. 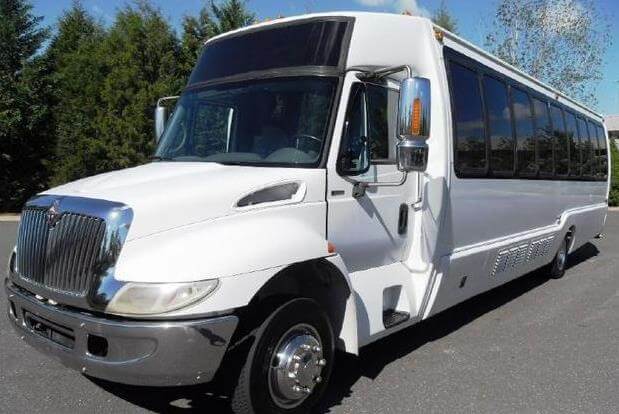 Cheap Party Bus Rentals Colorado Springs make it easy to avoid finding parking at a bus club, and will also save a whole lot of money in gas expenses. Party Buses in Colorado Springs CO can also be a great choice for bringing a large group of people to and from the airport. If you are here on vacation or for a business meeting, you want everyone to be able to coordinate their schedules and Limo Buses in Colorado Springs are a fun and exciting way to do that. 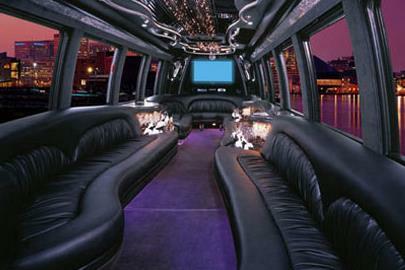 Rent a party Bus in Colorado Springs for an amazing night out or just to get around!